Well, I don’t know about you, but I have one excited Munchkin this year. Christmas is coming, and we are definitely aware that that’s a good thing! Last year when asked what she wanted for Christmas, Munchkin (whose life was still measured in months, rather than years!) simply requested cake! This year we wrote to Father Christmas and asked for face paints and a new, singing Charlie mouse (still a girl of simple tastes at 2 and 3/4!). She now understands that there are going to be presents. She is also fascinated by the big F.C. Father Christmas. Being 2, Munchkin also has “the whys” as I like to call that irritating habit of asking, “Why?” about everything, incessantly. The problem is that as a pretty poor fibber, “the whys” coupled with the big F.C. really rather frightens me. What if I can’t answer a question convincingly. What if I let the cat out of the bag about Santa Claus? My mother was (and is) a very poor liar. Whilst I see this as a good trait, it did mean that aged 3, I told her that Father Christmas couldn’t be real as we had two solid fuel fires and he’d get burnt if he came down the chimney. Mum thought she was fast thinking enough and apparently told me that he came through the window. My disbelief continued and I informed her that he would not fit… and then said, “It’s you and Daddy, isn’t it Mummy?”. Mum could not lie and said that I was right. The conceit continued, however, and it was only two years ago when the Munchkin came along, that I stopped receiving a stocking. (By the time I was in late primary school I had started giving my parents a stocking too – cunningly forcing my parents to keep the tradition going!) I am fairly certain I was not negatively effected by the early wane of the Father Christmas story, but I don’t want to spoil the fun for my daughter. So if you have a little one who is keen on Father Christmas, but asks a few too many questions, may I recommend the North American Aerospace Defense Command…. I know that sounds weird, but it’s a great system. 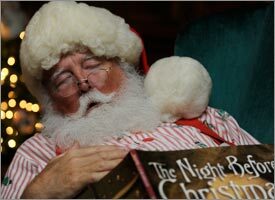 Every year, NORAD uses all its technology bring you live data about the progress of Father Christmas (or Santa as they call him) around the globe. There are games and even a section entitled “Is Santa Real”. This year you can even track him in 3D on google earth through NORAD. If his progress is there on the internet for all to see, he’s got to be real, right? This entry was posted in Childhood, Fun things to do, Holidays and tagged Christmas, Parenting. WE are avidly tracking Santa every minute at the moment! It is hard, I have a 16 year old and we have never had that conversation but I know he knows and luckily when the little ones ask questions he says nothing. I know you shouldnt lie to your children but with Santa and the tooth fairy, I think it’s ok! Merry Christmas! 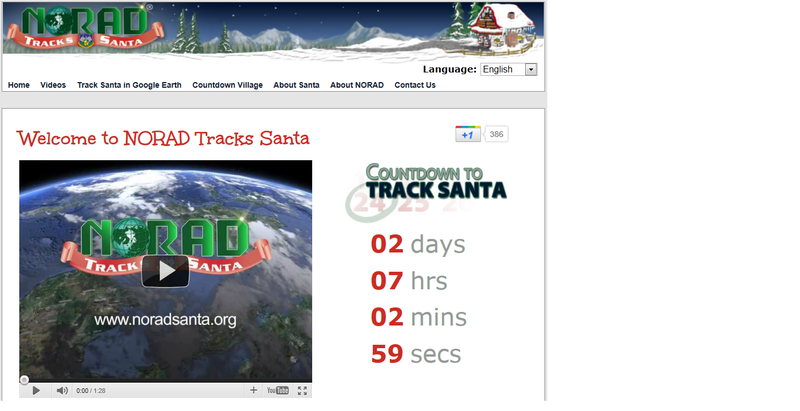 The only problem I have with NORAD tracking Santa is that when he get’s over the US they may shoot him down!